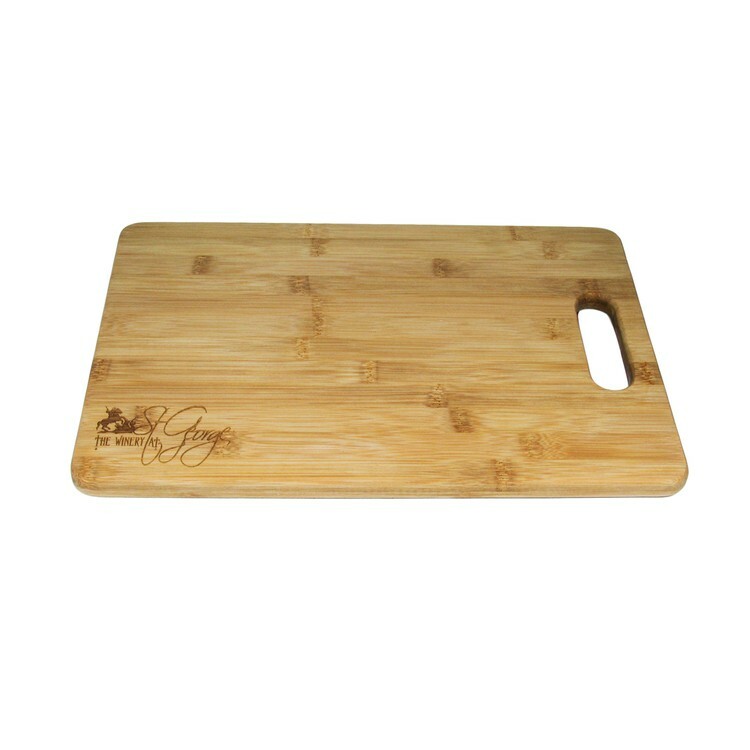 Bamboo is a popular choice for wood cutting boards. It is hard, durable and beautiful when laser engraved. This finely crafted cutting board comes to you ready to go to work in your kitchen, pub, bar, restaurant or food prep area. The rectangular shape with integrated handle offers many possibilities for your advertising message. 14 x 10 x .625"
Price includes a one position laser engraving, application of FDA-approved food-safe oil, poly-bagged and a white tuck-fold gift box.